One online or electronic currency that has been gaining a lot of traction these past couple of years is Bitcoin. If you haven’t heard about it already, you need to get out of your cave a bit more; it is literally one of the most talked-about subjects this year. 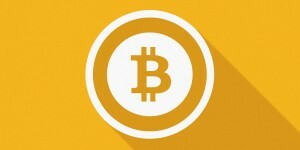 Bitcoin gained a lot of popularity among users and merchants for a number of reasons. In this article, we are going to take a look at some of the reasons why you should use Bitcoin for online payments. Yes, you read the title correctly. A large part of the Bitcoin ecosystem is called mining. Mining is the process of acquiring Bitcoins by solving mathematical problems using your computer’s processing power. There are even machines that are designed specifically for Bitcoin mining. I do have to remind you that mining Bitcoin is not as easy as it may seem. However, the possibility is there; you can actually create your own money and add balance to your Bitcoin account through mining. This next reason is my personal favourite: Bitcoin is designed to be a currency that is free of any form of intervention. You are not dealing with banks or any middleman. You also don’t have to worry about government intervention. The entire ecosystem is self-regulating. I’ve been using Bitcoin for a little over a year now. I did a quick calculation on how much I actually save on fees and charges. I was very surprised to know that I saved over $2,000 in transaction fees alone. Bitcoin is built on top of an encryption technology; Bitcoin is classified as a Cryptocurrency for this very reason. Every part of the ecosystem is as secured as the encryption technology behind it. When you have a Bitcoin wallet, for example, the only person that has access to that wallet is you. Bitcoin’s strong encryption and safe ecosystem makes using Bitcoin as safe as it can be. There have been cases where users lost their Bitcoin to theft, but the main cause of these cases aren’t Bitcoin itself; they usually let other parties handle their Bitcoins instead of storing them in a private Bitcoin wallet. The same goes for transactions. You are not giving away any personal information at all; no credit card number, no social security number, not even your address or full name is needed to make payments. You only need to scan the Bitcoin QR code of the merchant or recipient, confirm the amount and the transaction will be completed in seconds. The transaction is secured using two keys: a public key and a private key. Anyone can access your public key easily. It is actually the account number of your Bitcoin wallet, needed when someone wants to make a payment to your account. The private key, on the other hand, is….well, private. Only you have access to this private key. As long as you keep your account save through Bitcoin best practices, only you can authorize transactions. The biggest problem with conventional currencies is inflation. As governments print more cash and release them to the market, the value of money decreases; this is made even worse due to the fact that not all governments have the resources to back their currencies. Bitcoin is designed to have a maximum amount; the amount is set at 21 million when the ecosystem was designed. After 21 million, no more Bitcoin can be mined. This protects the Cryptocurrency from inflation altogether. It is also the reason why mining Bitcoins becomes more and more difficult as more are being used by users. If you haven’t used Bitcoin before, now is the perfect time to start. Create a wallet and start accepting and making Bitcoin payments in no time.